Flavio Melchiorre aka Idro51 is an Italian contemporary artist born in 1977 in Pescara. 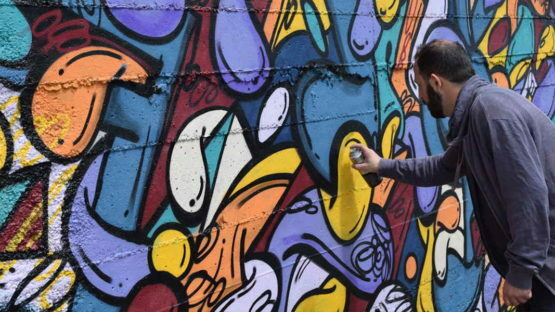 Designer, illustrator and painter, Idro51 has a degrees in Graphic Design. He began his artistic career as a graffiti writer in the early 1990s, inspired by the street art culture. 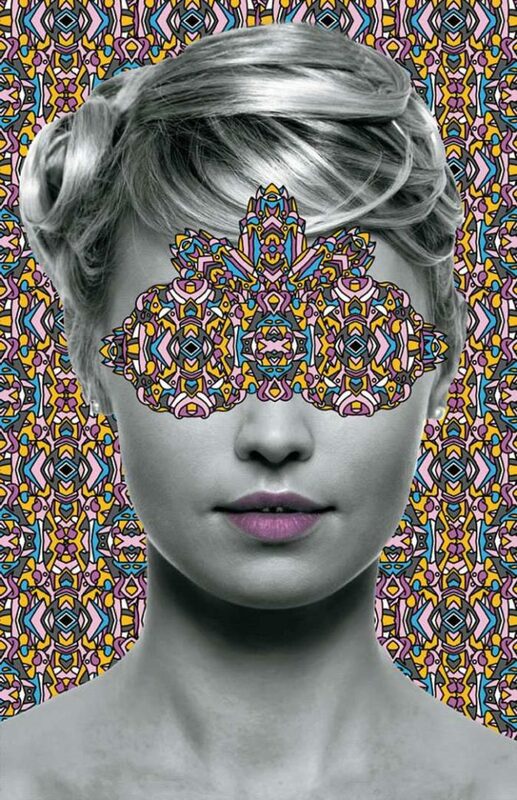 For over a decade, Idro51 has been engaged in typography, advertising and the fashion industry, and as a result he has developed his own characteristic style which he calls “Hypnotic Art”. Combining free-hand drawings with chromatic and iconographic effects, the artist creates artworks which are both colorful and intricate in detail. Having Abstract Expressionism as the key element in his personal research, the artist expresses himself purely through the use of form and color. Finding inspiration in his own life experiences, in people he met and places he visited, Idro51 creates a visual harmony, balance, and movement using many colors together to develop each element in something more complex. In addition to it, two main cultures which have influenced his style are Street art and Pop Art. One of Idro51’s latest project is Urban Sculpt, a new material artwork series inspired by graffiti culture mixed up with aerosol style and artist’s creative power. 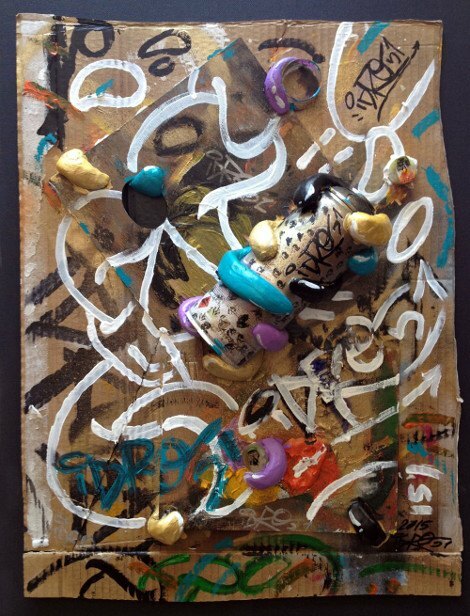 Used plastic tools, spray cans, das, acrylic, wood, and cardboard became instruments for Idro51’s self-expression. In Urban Sculpt, Flavio transform his inner world and desires into unique visual artworks. In 2008 Flavio Melchiorre established Idro51 Creative Design Studio, specialized in high quality visual solutions. Idro51 Creative Design Studio is known for collaborations with Adidas Originals, Citroën, Citizen Records, Commons&Sense, ComputerArts, Fendi, Fieldcandy, Four23, Foot Locker, Future Publishing, Grove, Maibaic, Oxibis, Panorama Musique, Taschen, The Coolhunter, Victionary, among others. In December, 2014, Idro51 collaborated with Pantone® Universe Colorwear at Art Basel in Lulu Laboratorium, Miami Beach, Florida. Flavio performed a live painting demo that showcased the versatility of Marsala, the Color of the Year 2015. 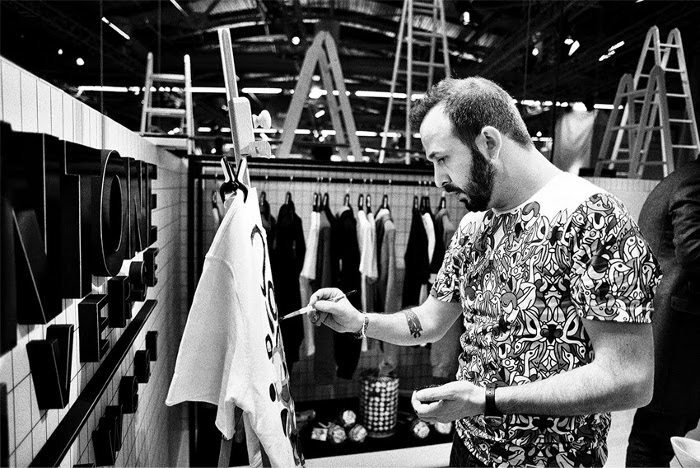 He has also participated at live painting with Pantone® Colorwear at Pitti Uomo 87 in Florence, Italy in January 2015. Idro51’s work was included in The Squint Show, London, UK, 2013, Segno, a group show with the famous Millo at Mezzomagazine+Ottovolte, Francavilla al Mare, Italy, 2011, Candy World at Artefatto2010, Trieste, and Spot The Tiger at Dreamspace Gallery, London, in 2010. 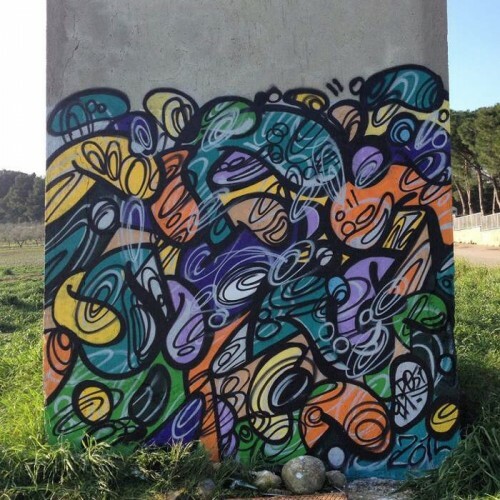 The same year Idro51 held his first solo exhibition Tips’n Trips at La Cantina di Jozz, Pescara, Italy. Idro51 won first prize in “Oilily Creative Studio Challenge” in Netherlands in 2008. Two years later, he won the first “Citroën Créative Awars” which involved more than 700 projects from all over the world. In 2009 he was one of 15 finalists of “Adidas Celebrate Originality” in 2009. Idro51 lives and works in Italy.